Let’s say you are using Hyper-V Cluster and you have the VM clustered. What happens is that your machine does not failover when the NIC used for that machine has a problem. E.g. Network cable unplugged. Have you noticed that? Have you tested your cluster for this yet? The best approach is to use NIC Teaming. But in case your solution(Hyper-V Host Clusters) does not support don’t support NIC Teaming, then one approach to workaround this, is to add a cluster resource script to the Cluster Group. Interested? Clique the link below to get the script, with short instructions. Have you downloaded the Windows 7 and Windows Server 2008 R2 SP 1 Beta yet? Make sure you check out the new SP1 Beta Resource page on Microsoft.com as well as the TechNet SP1 page — and don’t forget to grab the download here. For Windows Server 2008 R2, SP1 Microsoft will be introducing two new features: Microsoft RemoteFX and Dynamic Memory. These features are designed to meet the increasing needs of customers as they utilize virtualization in their environments with Windows Server 2008 R2. You can read more about RemoteFX and Dynamic Memory on the Windows Server Division WebLog. Dynamic Memory is an enhancement to Hyper-V in R2 and allows IT administrators to pool all the memory available on a physical host and dynamically distribute it to virtual machines running on that host as necessary. That means based on changes in workload, your VMs will be able to receive new memory allocations without a service interruption. For a deeper look at Dynamic Memory check here. RemoteFX is the latest addition to Microsoft’s desktop virtualization stack. Using this new feature in Windows Server 2008 R2, you’ll be able to deliver an even richer and more user-transparent desktop virtualization experience. RemoteFX functions independently of any graphics stack and supports any screen content, including rich content like Silverlight or Flash. It also enhances the end-user’s hardware experience with support for USB redirection. Because it uses virtualized graphics resources, RemoteFX works on a wide array of target devices, which means you can deploy it over both thick and thin client hosts and a wide variety of network configurations. For some more information on RemoteFX check here. Based in my experience here are some recomendations and tips for SCDPM in a Hyper-v/CSV environment. With live migration, pro-tips in SCVMM and virtualization admins, the placement of a virtual machine will never be fixed. SCDPM will know where the virtual machines is, and will protect it from there. If a machine is moved, then SCDPM will follow it to its new path. Have Installed a Raid 10 for the Storage Pool, as you cannot have the OS not the DPM installed on the disk that is dedicated to the storage pool, which is a set of disks on which the DPM server stores the replicas and recovery points for the protected data. Check if the Tape library is compatible/recognized by Windows 2008 R2 ( VERY IMPORTANT!). Don’t try to use non signed drivers. The server will freeze when you most needed it. If you are using a hardware VSS provider, you can back up multiple virtual machines from the same CSV/node in the cluster. To allow a maximum of three backups to run concurrently on each node, specify the number of concurrent backups that can run from a node. 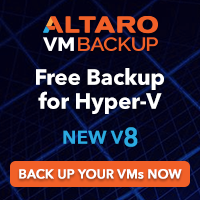 If your SAN vendor does not have hardware VSS providers, you can use software snapshots to back up your virtual machines. We recommend that virtual machines deployed on CSV should be backed up serially. Serializing virtual machine backups on a per node basis. Serializing virtual machine backups on a per CSV LUN basis. This form of serialization limits the number of virtual machine backups happening on a single CSV LUN. This is done by creating a DataSourceGroups.xml file and placing it in the DPM server at %PROGRAMFILES%Microsoft DPMDPMConfig. This file provides DPM with information about the CSV virtual machine deployment configuration/distribution on the various CSV LUN so as to serialize the backups that happen per CSV LUN. The maximum number of hosts and virtual machines tested with and supported by VMM on the highest recommended hardware configuration is 400 hosts and 8,000 virtual machines. If your VMM implementation has over 150 hosts, we strongly recommended that you enable server-optimized garbage collector (GC) on the VMM server instead of the default workstation garbage collector. This can significantly reduce the CPU utilization on the VMM server and improve your performance for parallel VMM operations. To enable server-optimized garbage collector (GC) on the VMM server, create a file that is named vmmservice.exe.config by using the following code, and then for VMM 2008, place it into the %SYSTEMDRIVE%\Program Files\Microsoft System Center Virtual Machine Manager 2008\Bin directory on the VMM server, or for VMM 2008 R2, place it into the %SYSTEMDRIVE%\Program Files\Microsoft System Center Virtual Machine Manager 2008 R2\Bin directory on the VMM server.. The number of virtual machines that can be run on a host is primarily limited by the configuration of the host and of the virtual machines on the host. The minimum and recommended hardware requirements for the VMM server depend on the number of hosts that you manage and whether you use the same computer for the VMM server, the VMM database, and as a library server. The minimum and recommended hardware requirements to install and operate all VMM components on a single computer are listed in the following tables based on the number of hosts that you manage. For the SQL Server 2005 Express Edition, the database size is limited to 4 GB. If you also use the VMM server as a library server, you need to provide additional hard disk space for storing objects. For more information about the hard disk space requirements for the VMM library, see System Requirements: VMM Library Server. 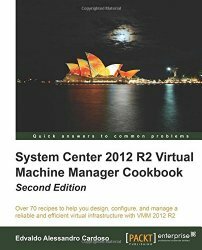 · Add one or more remote computers as library servers and do not use the default library share on the VMM server. · Use a remote, full version of SQL Server for the VMM database.